Within this site you'll find a sandbox full of fun thing to do with your pixels. After all, you've created some great images - isn't it time you shared them. Calendar Designer is a set of templates and Adobe Photoshop actions that take your images and create stunning calendars. Share your work with a product that will last all year. A great “thank you” for a client. 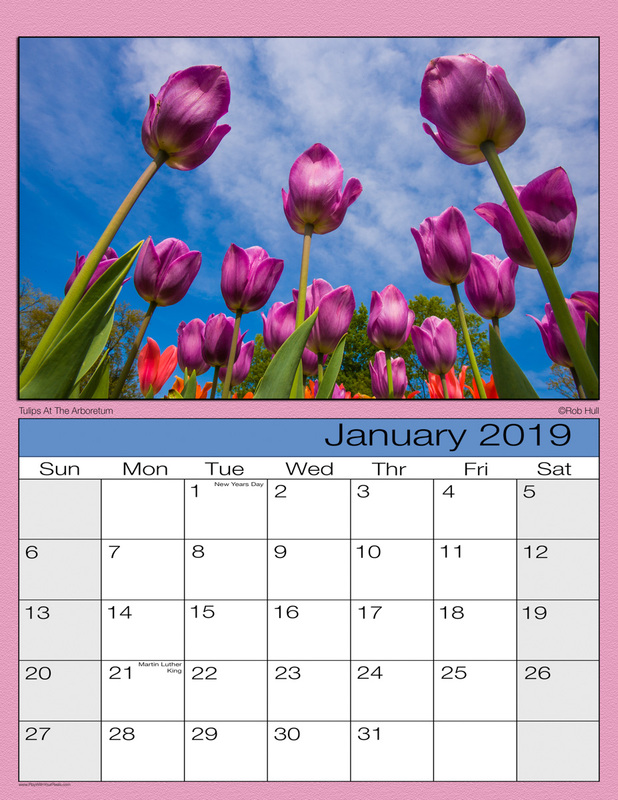 The download includes templates for 2019 and 2020 calendars and a set of actions for Photoshop that will lay out the calendar and let you customize some of the design. Greeting Card Designer is a family of products for Adobe Photoshop that will take your images and lay them out in professionally designed greeting cards. Make custom cards to say "thank you", "get well soon", or any customized holiday greeting. In this section you'll find cool free stuff - actions and templates to help you design and prepare book marks and tent cards.